This is a moisturizing sheet mask for your face. One sheet contains as much as one bottle of beauty lotion essence which furnishes your skin with rich moisture and firmness. This contains much essence and delivers hydration to your skin thoroughly and promotes firm, bouncy skin. One sheet contains as much as one bottle of beauty lotion essence which furnishes your skin with rich moisture and firmness. Full-face moisturizing mask fits firmly on your face. The mask is made of Natural cotton 100%. The mask holds much essence (30ml. Equivalent to 1 bottle of essence!) 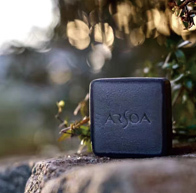 which contains ARSOA water and moor water (botanical hot spring water) which possesses natural moisturizing ingredients. This helps keep moisture on your face. Contains glyceryl glucoside, polianthes tuberosa polysaccharide, natto gum (botanical collagen), cynara scolymus (artichoke) leaf extract, sodium hyaluronate and so on, which all have moisturizing effects that provide your skin with much moisture. Please use after first preparing your face with lotion or essence. We recommend using the mask once a week.